Petra, Not of this World 1983. Petra was among my first Christian rock cassettes. They went through different singers and players, but this album and the next few albums in the 80's were my favorites. I then got into Bride and Stryper at the end of the 80's which were a little harder. But, as the story goes, that toilet was Not of this World for sure. 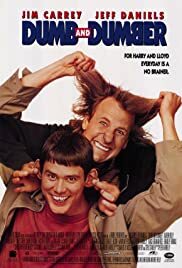 Dumb and Dumber 1994. Top 5 funniest movie ever. The scene where Seabass meets Lloyd in the stall is like the location in this story. Although, my favorite scene is where Harry uses the toilet and can't flush it. That happened to me in the "Where are you honey? The boat is leaving!" story.